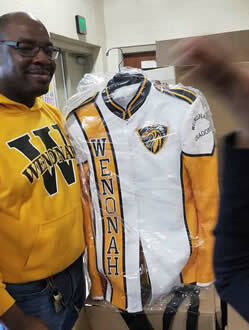 The Wenonah High School Grand Alumni Association (WHSGAA) is a 501 (c) (3) non-profit organization that embodies the spirit, knowledge and wisdom fostered by the Wenonah faculty, both old and new. Our members reflect the values, ambitions and knowledge instilled in us by the teachers and staff of the Wenonah High School family. It is our purpose to ensure the benefits and knowledge we received from our years at WHS are passed on to future graduates. "The Year of the Dragon"
L-R Rosalind Rudolph Young, President; Ronnie D. Jackson (1971), Major League Baseball Player, Frank Reeves, Vice President; Arnetta Nunn, Speaker; Dr. Vanessa Guest Byrd-Moore, (1976), Principal; Dr. Eunice Myatt Banks (1960), Colonel, USA Retired; Sandra Mixon Little Brown (1973) Former County Commissioner; James Waller, (AKA Munir Muhammad) (1968), Chicago TV Host. 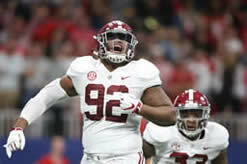 Williams has been recognized as the nation’s best lineman. Coming out of high school, there were 16 defensive tackles ranked higher than Quinnen Williams on the 247 composite. Sometimes the recruiting services are wrong. 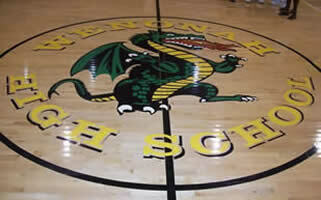 Greetings Wenonah Class of 1979!!! Arrangements have been made for the long awaited 40th class reunion. The reunion is scheduled for August 9-11 2019. 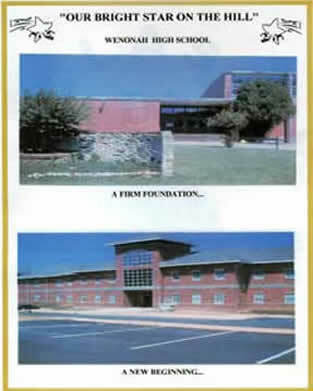 Wenonah Class of 1969 will be celebrating our 50th Class Reunion August 23-25, 2019. We are opening it up to other classes if you wish to attend this joyous occasion. 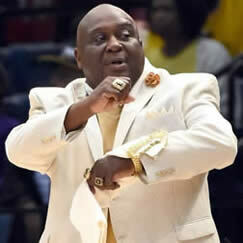 You can contact Vivian at 205 923 7402. If I do not answer, just leave a message. 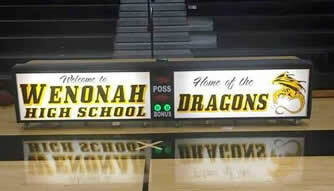 Go Dragons!!! This website was generously donated by by Delivery Management Technologies, Inc, James E Carden, President (Class of 1952).